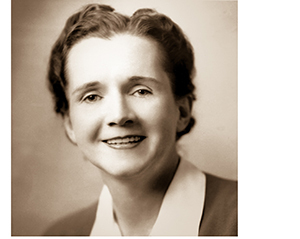 On Tuesday, June 9, 2015, at 7:00 p.m., as part of the Henderson Summer Leadership Conference, we will be showing the film The Power of One Voice: A 50-Year Perspective on the Life of Rachel Carson, a groundbreaking documentary examining the life of Rachel Carson and the profound implications of her environmental work. Following the film, Mark Dixon, the director, will be available for discussion with the audience. Join us and learn more about this amazing woman and the cause that she brought to public attention. The movie will be shown in the Hicks Chapel Auditorium and suggested donation is $10. Free parking is available on campus behind the Chapel and Library.